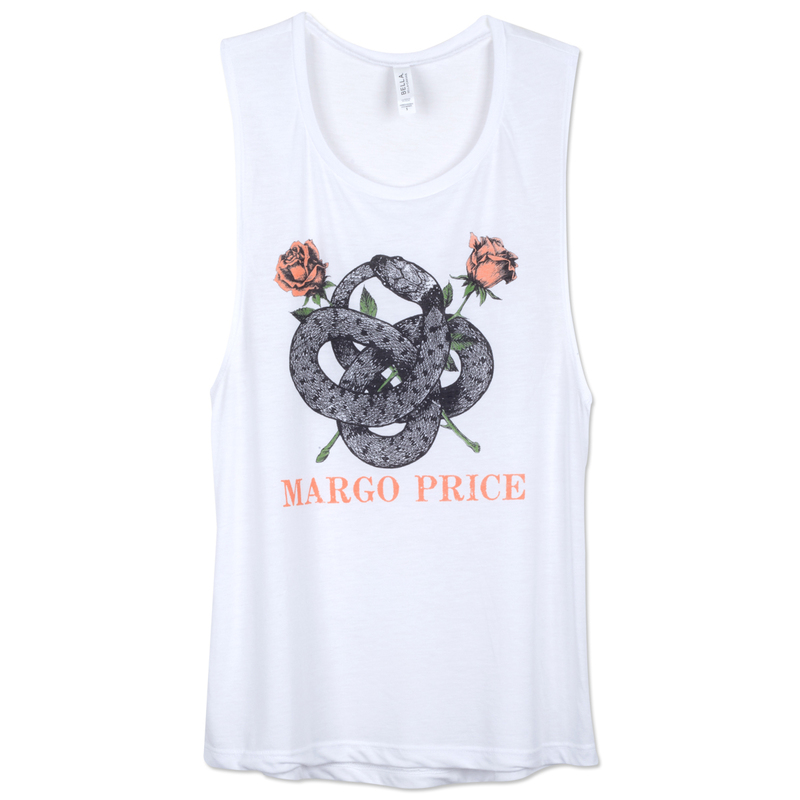 Ladies' white flowy, scoop neck muscle tank featuring a snake crest design on front. 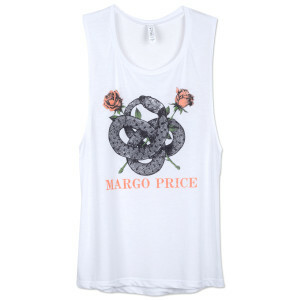 Quick shipping and very soft shirt. Fits true to size &amp; logo is amazing. Wish I knew it was racerback cut because I have to wear something underneath.